Many of these items are considered good human resource management. At its core, a company is its people. Everything else is just tools, policies and other things people use to maximize their contribution. The team can be cleaning split between the project managers (who we call Client Managers) and the translators. The translation industry is not very regulated, which creates serious problems when valuating the degree of quality experience a project manager has. No two language solution providers (LSPs) are alike. Each uses their own tools, protocols, policies and have their own organizational structure that were developed largely by the experience gained from the types of clients that they serve. For example, if an LSP works mostly with law firms, the project managers there may never learn how to use translation memory technology or work with certain file types such as .indd or .mp3. 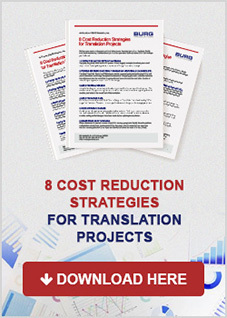 As a result, they may have years of experience only performing the most basic of translation projects. Furthermore, in large LSPs, people with the title “Project Manager” may have such a specialized role, that their only experience might be a limited series of quality assurance activities. Finally, LSPs have different standards of organization or documentation. This can lead to project managers that have varying degree of expectations in terms of how well organized they should be when managing projects. The most robust way to avoid these problems and to sustainably organize a business is to recruit people with no previous experience in the industry and that have shared common values. The key to a good organization is having a well-defined culture. Culture is everything and everything comes from culture. Everyone is more appreciated when everyone shares the same work values and common goals. Regarding abilities, it is best to match people’s strengths with activities that require them. People tend to have a sense of pride in the things they can do well, so leveraging their strengths makes for a happy team mate. Also, if you are going to commit to recruiting people with no past experience, you need to be prepared to teach them everything they need to know to do the job well. Part of this requires very good documentation, which is important anyway to ensure standardized process and scalability. At BURG, we have hundreds of pages of documentation from scripts to how to set an answering machine to a client service training manual. The goal is to ensure that there are very clear expectations as to how each part of the job is to be done. Furthermore, a review takes place to understand the degree of flexibility they have in supporting our clients in unconventional ways, such as in conducting document review, research, and other activities that our clients might need. At BURG, our Global Strategic Partnership Manager focuses on ensuring the language teams are happy. This includes everything from minimizing the number of translators we have on call (accounting for risk of meeting our client’s needs) to maximize their workload, to ensuring prompt payment, to supporting them in the onboarding process. As a result, our language teams have reported being extremely happy having BURG Translations as a client. Each time a new Client Manager joins the team, the Global Strategic Partnership Manager introduces them to the language teams. The new Client Manager also includes a brief biography to help strengthen the working relationship. In general, this is done through contracts and documented instructions. The job description of client managers is standardized and results-focused. It provides a documented account of the role listing expectations and performance goals. Each morning all client managers hold a meeting, called a “scrum”, to review the previous day’s metrics, activities, obstacles, and plans for the upcoming day’s work. It is a 15-minute meeting during which assistant project managers are assigned supporting duties, Leadership supports where necessary and input is provided by anyone able to. This is also a good source of inspiration for weekly training sessions (held on Tuesdays and Thursdays) and to provide feedback on how the team is doing as a whole. Individual one-to-one feedback is provided on a case-by-case basis in order for the feedback to be timely and effective. Translators are managed similarly to client managers. Contracts include non-disclosure agreement and expectations around service quality, including translation, responsiveness, availability and deadline reliability. BURG Translations does not provide general training to translators. However, some clients or projects may require specialist training on procedure and style. A company has a lot of processes and moving parts with many inputs, outputs and individuals involved along the way. Each contributor offers unique insight into a process from their own point of view. The best way to leverage this insight is to ensure they have a way to participate in continual improvement. The Quality Manual and Client Service Manual are two cornerstones to the training documentation here at BURG Translations. At least once per month, all client managers meet with Leadership to review updates to either manual. The team, as a whole, reviews the changes and contribute their point of view. Translators make an extremely finite and consistent contribution to the overall company workflows. The Global Strategic Partnership Manager regularly monitors translator satisfaction with BURG as a proxy measure for workflow integration issues and general compatibility with our team and client needs. As changes are introduced to the company via the client or internally driven innovations, the Global Strategic Partnership Manager manages any change it has on the translation teams with emphasis on translator adoption and feedback. One source of individual feedback comes from non-conformance reports (NCR) created by either the client or Leadership. When a service does not conform to specification (defined by a complaint by the client or a person within the company), an NCR is created. The report names who is responsible for the non-conformance and what corrective and preventative actions need to take place – this includes individual performance corrections. The daily scrum meeting reveals team performance per individual per day. This is the time when each person can see each other person’s performance. Feedback and support is provided on a one-to-one basis. Each translation of each project is evaluated. Comments are relayed back to the translator. When errors are significant, translators are put on probation. Within the company, apart from daily scrum meetings, there are three opportunities each week where extended discussions are held specifically for learning and knowledge sharing: training on Tuesdays and Thursdays and a one hour weekly meeting on Wednesdays. Weekly meetings cover larger topics of discussion that are relevant to the team and take more time to discuss. It is also a time to receive suggestions from the team on what topics to have for training sessions. One hour per week on Wednesday mornings is dedicated to discussing trending issues within the company, as well as any other issues that a client manager wants to raise. The entire company is in the meeting and able to contribute their input. The goal is to end the meeting with an outline of action items h a resolution. The ad hoc meetings are specific to individual performance improvement. The brief 15-minute scrum meetings keep the team accountable, engaged and organized each day. The Wednesday weekly meetings cover company-wide information and larger problem-solving efforts. The training meetings on Tuesdays and Thursday are dedicated to validating and implementing solutions to problems that support continual improvement efforts and general learning and knowledge sharing.